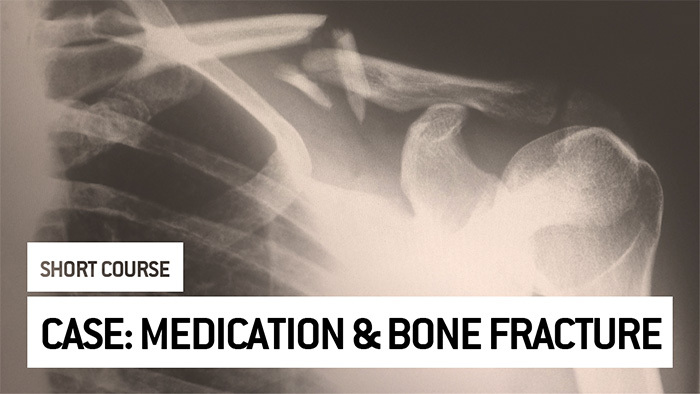 Different medicines increase the risk of falls (e.g., sedatives, antidepressants and antihypertensives), and some commonly used medications increase this risk of bone fracture (e.g., proton pump inhibitors, corticosteroids). The public health impact is significant of the combination of both adverse effects is important. Through this case study, this course intends to help you in doing an appropriate estimation of the public health impact considering that this example can be extrapolated to other adverse effects. At the end of the course, you will know how it is possible to estimate the public health impact of a combination of adverse effects associated with commonly co-prescribed medicines.